Substantial and much improved family home in the Dunstall park area of Wolverhampton. To the ground floor there there is an entrance hall, a lounge, a kitchen / dining room, a conservatory, and a cloakroom/WC. To the first floor are three double bedrooms and a bathroom/WC. Externally there is a driveway and there are gardens to front and rear. EPC RATED D This is an ideal family, ready to move into. It has been much improved by the current owners and a particularly noteworthy feature is the large family-friendly kitchen with conservatory off. Unusually all of the bedrooms are doubles and there is a ground floor WC in addition to the first floor family bathroom. Early viewing is recommended to avoid disappointment. 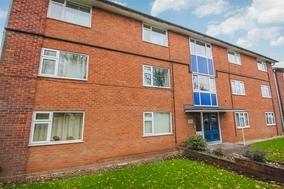 Location Haydock Close is in the Dunstall area of Wolverhampton, a few minutes drive from the city centre. There are a number of local shops and businesses and several large supermarkets within a short distance. There are excellent road and public transport links in and out of the city. £300 Administration and Contractual Charge and £675 for the Deposit.